This four track EP was included for free with a copy of Popfoto, the music magazine I read every month back in 1989. 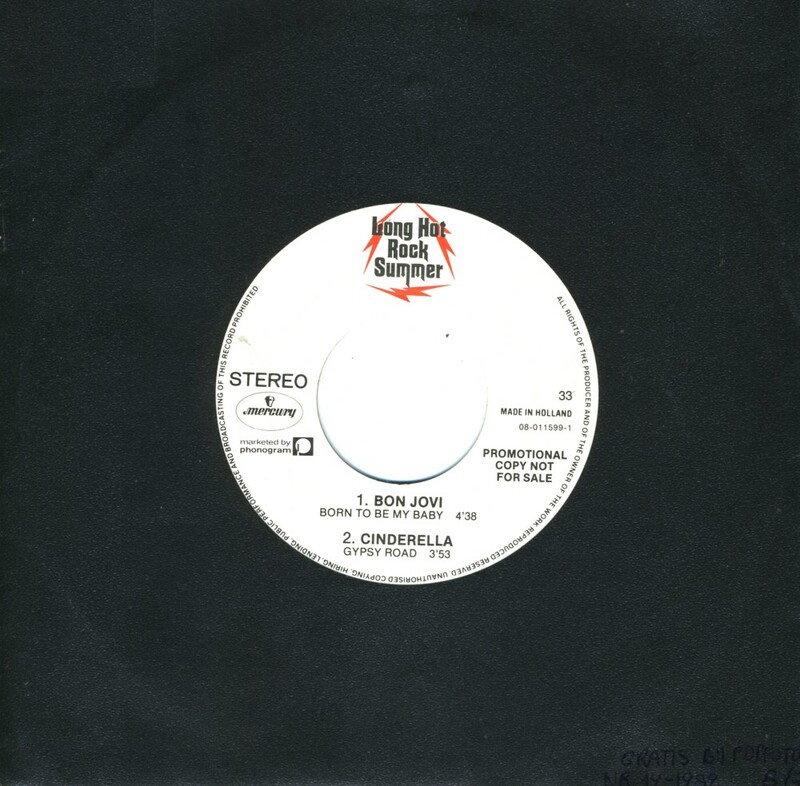 The label Mercury promoted four of their rock bands with this single. I couldn't decide whether to keep or throw away this disc, and in the end I decided to include it in my collection. Basically, the tracks on the A-side I find boring, whereas the B-side tracks are marginally better. Kingdom Come's track is probably the best of the four, as it contains less rock cliches than the other three. Why, Dare's song even sounds like a Europe castoff! Kingdom Come formed in 1987 after frontman Lenny Wolf's band Stone Fury broke up. He recruited Pittsburgh-based lead guitarist Danny Stag, Louisvillians Rick Steier and James Kottak and Northern Californian Johnny B. Frank on bass. 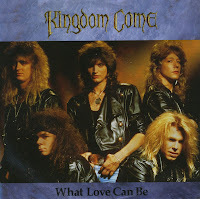 The band's debut album, 'Kingdom Come' was their only international hit. The musical style was very close to the early blues-rock style of Led Zeppelin. Their second single was the power ballad 'What love can be'. It was a big hit in America, but sold less well in Europe. Still, I picked it up from the radio and played it a lot for a couple of weeks during the summer of 1988.